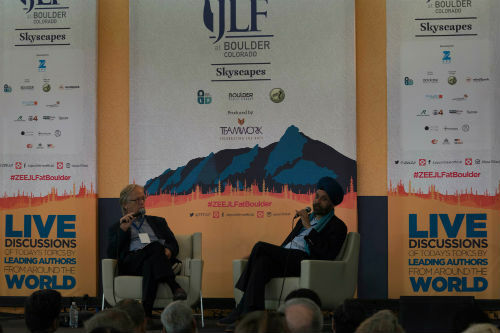 Boulder: Indian Ambassador to the United States Navtej Sarna participated in two sessions at the third-annual ZEE JLF at Boulder at the Main Boulder Public Library, September 15 and 16. His Excellency Navtej Sarna is the author of the novels “The Exile” and “We Weren’t Lovers Like That”, the short story collection “Winter Evenings”, and non-fiction works including “Indians at Herod’s Gate”, “Second Thoughts”, and “The Book of Nanak”. His translation works are “Zafarnama” and “Savage Harvest”. 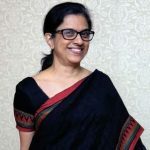 Sarna has served as High Commissioner to the United Kingdom, Ambassador to Israel, Secretary at India’s Foreign Office, and also as its longest serving spokesperson. Sarna participated in the inaugural session Freedom to Dream, which is also the theme of the 2017 ZEE Jaipur Literature Festival in Boulder, Colorado. 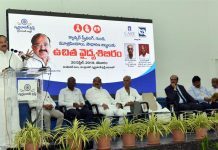 The session of the internationally-acclaimed literature festival opened with sacred chanting by Gaden Shartse Monks followed by inspiring remarks from festival directors and producers. Distinguished, contemporary authors from around the world gather at ZEE JLF at Boulder to engage in provocative dialogue about complex and diverse topics including migrating, poets, American dreams, globalism, nationalism, climate control, feminism, ancestral cultures and more. The opening address featured Festival Co-directors Namita Gokhale and William Dalrymple, Festival Producer Sanjoy K. Roy of Teamwork Arts, Indian Ambassador to the United States, Navtej Sarna, and CEO ZEE LIVE & ZEE Talent | Head – Corporate Brand & Communications, Zee Entertainment Enterprises Limited, Sunil Buch. Sarna also participated in the session The Untrod Path: Writing Travel: Christina Lamb, John Huston, Lori Erickson, Navtej Sarna and William Dalrymple. In a suddenly shrunken planet, the conventions of travel writing are being challenged by more experiential insider accounts. Five panelists speak of their very different approaches to recording and sharing their journeys with Irene Vilar. His final session was entitled Second Thoughts: A Writer and a Diplomat. In conversation with John Elliott, Sarna discussed his life, travels and writing, including his acclaimed books on subjects as varied as romance, religion and history. “Sikh history is a young religion, just 500 years old. But it is replete with dramatic events in this period: a lot of the martial aspect, a lot of sacrifice, a lot of battles. All that together is a huge area waiting to be written about,” said Sarna.